We are excited for you to register your students starting this Friday, April 1, at noon. 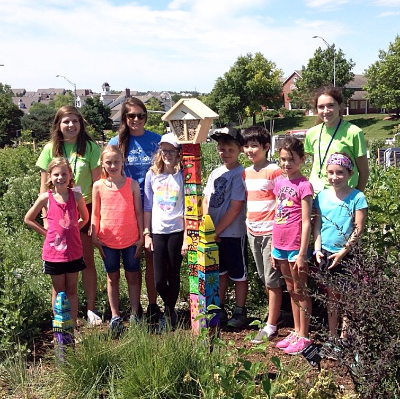 Posted on the home page of BrightLights.org is the class schedule and detailed descriptions for this summer. The main program location is Holmes Elementary (5230 Sumner St.) with other classes/camps held at Lux Middle School, Southeast and Southwest High Schools, and other various community sites. The online system is only compatible with Microsoft Internet Explorer and Mozilla Firefox browsers. All other browsers, including Apple’s Safari and Google Chrome, are not recommended for use. Online and mail-in registration begins April 1 at noon. We will begin processing all mail-in registrations at that time in random order. We recommend registering online for best class selection. If you created a Bright Lights account last year and have forgotten your password, you may request a new password prior to April 1. Click the Account Login button on the home page. You may also update your personal information, like address and phone number. Student information cannot be changed—or new students added—until April 1. When you click the “Register Now” button, you may be placed into a queue. Once you are in the “queue” DO NOT REFRESH. PLEASE BE PATIENT and you will be prompted to register when your turn comes. If you choose to refresh, the system will move you to the end of the queue. Once an online account is created, you can access and modify your personal information, as well as register for additional classes/camps. However, no changes can be made to your existing class/camp selection. To do that, click the Account Login button on the home page. Enroll by student’s grade as of April 2016. Example: If your child is in third grade, you may select any class labeled for Grade 3, including Grades Completed 1-3, 2-4, 3-5 or 3-6. All online registrants need a valid email address to register. Class/camp confirmations are immediately emailed to the address provided. Please save this email for future reference and tax purposes. Payment: If you register online, you must pay via credit card (all are accepted). If you mail in your registration, you must pay by check or cash. Before Care and Lunch Care (please bring a sack lunch) are options when you register for a class taking place at Holmes Elementary. You can sign up during the registration process. Pick up is at 4 p.m. There is no After Care program. We offering free bussing during our first and third program weeks from select bus stops. Please see our bus schedule at http://www.brightlights.org/summer-programs/student-resources/bus.html. You must complete a bus permission form to ride the bus. Please note that there is a fee of $25 to withdraw from a class prior to May 15 but the rest of your payment will be refunded. After that, no refunds are available. However, you can transfer into another class without a fee. Classes close one week before the program week starts. After that, no registration adjustments are permitted. Have two students wanting to register for classes that take place the same week BUT one is at Holmes and the other is at an off-site location? Drop off your student taking a class at Holmes Elementary first—utilizing our first 15 program posted about earlier—and then drop off your other student at their class location. When class is done, please pick up in reverse order—your off-site student first and then your student at Holmes. Some classes have field trips. All field trips are parent drop-off/pick-up, meaning that on the field trip day parents will drop students off at the field trip location and pick them up there, as well. Need a registration/medical/bus/permission form? You can get them at http://www.brightlights.org/summer-programs/student-resources/ . Please note that they are PDF fill-in forms. Simply type in your info, select “save as” and then attach the saved file to and email and send it to us. NOTE: Most of the completed forms are returned to Bright Lights. The only exceptions are #520 Aim for the Target and #140 and #522 New Heights: Rock Climbing. Need-based scholarships are available (1 per student) and can be applied for online during the registration process. A $15 scholarship fee is due with your application and you will be notified as to the amount of scholarship you were awarded and any balance due. 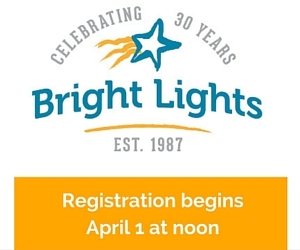 If you have additional questions about the registration process, email info@brightlights.org or call 402.420.1115 ext 45.